It is safe to say that most professional theatre companies could not operate without the enthusiastic and dynamic support of sponsors. Our corporate partners and government funding bodies are the life-blood of the arts. Through their energy and vision we are held up and able to create theatre; theatre that enriches the lives of Nova Scotians and theatre that feeds back into the social fabric of our community. For that vision, we applaud them. For that vitality, we salute them here. Supporting the arts and the role they play in building vibrant communities and strong economies. 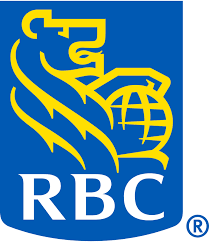 RBC supports organizations that provide the best opportunity to advance an artist’s career trajectory in genres such as visual arts, music, theatre, performance, literature and film. Every year the RBC Foundation donates millions of dollars to hundreds of arts organizations globally to help emerging artists become established. McBurney Pools & Spas was formed in 1980 and has been operating out of Burnside Industrial Park since 1992. They started with 1100 sq/ft. and have since moved twice to accommodate their ever expanding product lines and increasing customer base. Their location now has a 5000 sq/ft. showroom, which has 10-14 hot tubs on display and two working demos. They can accommodate up to 25 hot tubs in the warehouse with plenty of room for chemicals and accessories with around 5500 sq/ft. Bill and Carilyn have seen both the company and their family grow substantially over the past 35 years. They are business owners, parents, grandparents and active in their community and church. Carilyn is now retired from the business, but she still advises on many important decisions. Bill is still very active in both the purchasing and pricing side of things as well as doing service work and training. Red Door Realty - founded in January 2007 out of a desire to raise the bar on what it means to buy and sell real estate in Nova Scotia. Acadian-born and fluently bilingual in French and English, Jules Chamberlain is a skilled builder and creative thinker who draws on experience in professional construction and design. He seeks to foster the fine arts community through his patronage of classical music, dance and theatre. He is acting Board Chair of Cecilia Concerts, and is a passionate supporter of the arts and artistic talent in Nova Scotia [EFT, 2b Theatre, Merritt Awards, Halifax Fringe, Live Art Dance, Symphony NS, Cecilia Concerts]. His passion shows up frequently in the Halifax theatre community, and is always evident with his work in real estate. Energy, integrity, creativity, and hard work are the hallmarks of Denise MacDonell's approach to business and life. She has extensive experience in residential real estate, and invests herself in the community. Denise sits on the Board of 2B Theatre, is a member of the Standard Forms Committee of the Nova Scotia Real Estate Commission (NSREC), and the Technology Council of the Nova Scotia Association of REALTORS® (NSAR). Hailing from Antigonish, a St. FX alumnus (BBA), and theatre lover, she enjoys life with her husband, and is a proud mum of two extraordinary young women. Navigating others through the ups and downs of the local, and international economy, and representing local and foreign clients alike, Red Door Realty is a full service real estate company that strives to return the support that Nova Scotians have given them over the last decade. Premiere Suites - Proud supporter of the arts and a balanced travel lifestyle. We’re about people, not properties. Since 1999, the Premiere Suites team of dedicated, community experts ensure that we listen and then determine, the home away from home that best suits each of our guests respective lifestyles, requests and budgets. This commitment, to respecting our guests’ needs as well as those of the communities in which we operate is the reason we are the most recognized and trusted provider of fully furnished, luxury temporary residences for professionals and families across Canada. Our professionally managed suites are audited, insured, and accredited, exquisitely designed and fully furnished to a four-star standard with amenities designed to enhance your stay. No matter the reason for your extended stay, with over 1,300 suites, centrally located in high-demand areas across 38 cities, we have a place where you’ll feel at home. 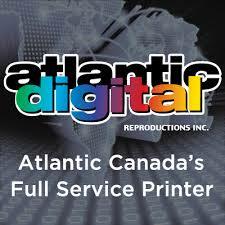 Atlantic Digital - We push the boundaries of what printing can be. Atlantic Digital is a full-service printing company for all your printing needs, from letterheads to highway billboards, and everything in between. Interior and exterior signs, to anything you need to market or promote your company or organization, we produce it all. We pride ourselves on quality and service. Atlantic Digital is a proud Maritime owned and operated company. Our firm offers a wide range of services to our business, individual and non-profit clients. Our clients benefit from personalized, quality service that is beyond comparison. With a wealth of experience with some of the most recognizable NPO's in our region, we look forward to helping you ensure your organization's finances are supported with the same passion and diligence you provide your own clients. ​14 Bells is Halifax's newest fine art gallery. Located in the historic Hydrostone Market, 5523 Young St, the gallery name and logo, 14 Bells, is a tribute to the North End Halifax community. Those of us who live and work in the area hear the bells chime daily from the hill in Fort Needham Park. The gallery supports contemporary Canadian artists. Bringing you pieces that are high quality, smart and engaging. Most of the gallery artists are from Nova Scotia with a sprinkling of painters from other parts of Canada.